United Methodist Church leaders at the most recent Council of Bishops meeting got some welcome news: For the first time in 11 years, annual conferences across the U.S. reported a slight uptick in professions of faith in 2012, the latest year for which total figures were available. The news, as reported in United Methodist News Service coverage of the November meeting in Lake Junaluska, N.C., was greeted with cautious optimism after years of tracking worrisome trends in the church’s vital signs. 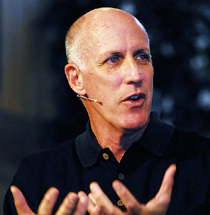 “Clearly this is the beginning of everything that we’ve been working toward for the past couple of years, as we strengthen congregations to make disciples who engage in the world in justice and mercy ministries,” said New Jersey Area Bishop John R. Schol, who has led the denomination’s Vital Congregations Initiative. Overall, the Florida Conference reported a 1.7 percent dip in 2012 professions of faith compared with the previous year. That was an improvement over 2011 reports, however, that showed a 5.3 percent decrease. For 2012, St. Luke’s UMC in Orlando, Mandarin UMC in Jacksonville and Community of Hope UMC in Loxahatchee reported the highest numbers in professions of faith. All three also were in the top five for percentage increases over a four-year average, as reported in the 2012 Journal of the Florida Conference. Leaders at the three churches say a variety of factors contributed to those reports. Chief among them are embracing the community being served and staying passionate about their mission. St. Luke’s led the conference in professions of faith for 2012 with 134. Dr. Bill Barnes, senior pastor, said the congregation experienced steady growth over the decades, but he predicted the next annual report will not be as impressive in terms of numbers. Last year, he explained, St. Luke’s began holding four-month classes for people thinking of making a commitment to Christ. Statistics don’t always reflect a true picture of what is happening in the church, he said. Located in Orlando’s entertainment corridor, the St. Luke’s “family” numbers more than 5,000 adults, plus 2,700 children and youths and 800 constituents, or people who haven’t formally joined the church but have an ongoing relationship with the congregation, the pastor said. He described a diverse mix of people in college and working in entertainment, as well as suburban families. Many hail from other locales and religious affiliations. Of those attending St. Luke’s, only 20 percent have been in the Methodist tradition, Barnes said. The church puts a high focus on excellence in its worship services and provides an opportunity to engage in meaningful service, Barnes said. Located in the northeast corner of the state, Mandarin is a congregation that has grown steadily in the past four or five years. The church began to see an increase in professions of faith with the addition of its Family Life Center, said Rev. 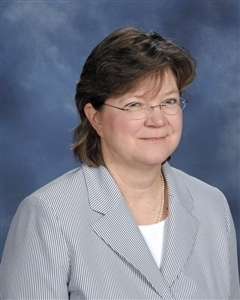 Debbie McLeod, Mandarin’s senior pastor. The church reported 90 professions of faith in 2012. "We are known in the community as a loving community and a caring place." Rev. 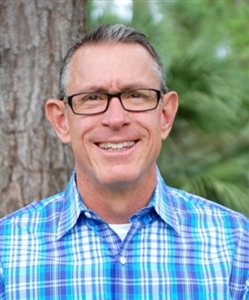 David Brazelton, senior pastor at Mandarin from 2003 to 2009, led the process of building the 42,000-square-foot center, which includes a fellowship hall, auditorium, gym and numerous classrooms. In addition to helping expand programs, it allows the church to offer simultaneous worship services. There are four worship services on Sundays, both traditional and contemporary, McLeod said. The church used United Methodist Communications’ Igniting Ministry initiatives to overhaul how guests are welcomed, McLeod said. Volunteers help visitors find parking spaces and radio the welcome center, where more volunteers meet families and guide them to child care spaces or worship centers. From the church website to signage, “We’ve done a lot of work on welcoming,” McLeod said. The community’s demographics primarily encompass young families with children and empty nesters, the pastor said. The church, with a 2012 membership of 2,500, ministers to numerous families with members in military service at Jacksonville’s Naval Air Station. Word-of-mouth referrals lead many of those families to choose Mandarin, even before moving into the community. The youth program at Mandarin also has developed over a long period of years as a way to share ministry. About 350 children are enrolled in various sports and recreational ministries, bringing with them their parents, grandparents, brothers and sisters. Community of Hope in South Florida had 82 professions of faith in 2012, and that number will swell to 102 for 2013, said Pastor Dale Locke. The church had just shy of 1,000 people in attendance on a recent Sunday. Locke credits much of the church’s growth to being passionate about its mission statement. From its inception, Locke said, the church has practiced kindness-based evangelism and strategic outreach into the community. Community of Hope is located in a semirural but growing area west of West Palm Beach, and Locke researched the community’s demographics as the church took root. In addition to income, age and education, Locke noted fears, concerns and careers. “It’s easy to see what they like: They hang out at Starbucks. It’s casual,” he said. So the church put in a free coffee bar and welcomed people to take coffee into the worship service. “People decide within 12 minutes whether they will come back to church again after this first experience. And the buzzer starts on that the minute they pull up on the property,” the pastor said. The church has a four-week class for those wishing to make professions of faith. At the end of the class, the discipleship pastor personally interviews each person in the class, Locke said. The church also offers monthly baptisms by immersion. -- Bonnie Dyson is a freelance writer located in the Brandon area. Susan Green, Florida Conference Connection editor, contributed to this story. Information from a UMNS report also was used.